From around Fife and across the Forth in Edinburgh you can’t miss it. Mossmorran, a factory that makes plastic, spews out a giant flare lighting up the night sky and rocking the community that surrounds it. 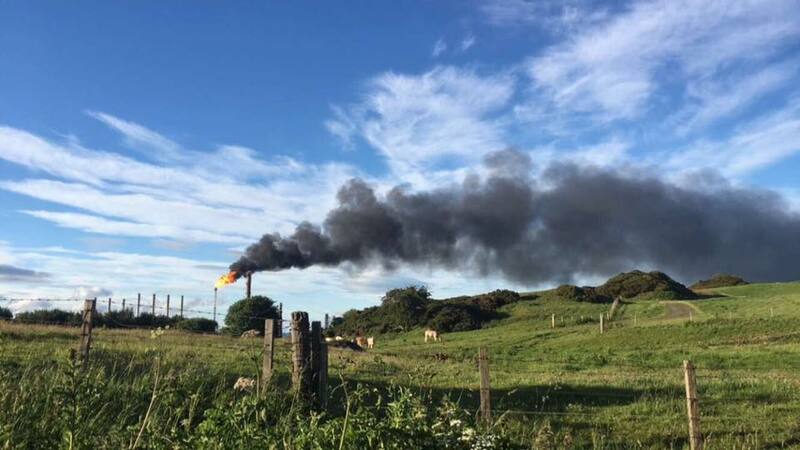 After years of complaints and locals suffering the ill-effects of flaring from the Fife Ethylene Plant run by ExxonMobil and Shell at Cowdenbeath, residents have celebrated the ‘final warnings’ given by the Scottish Environmental Protection Agency (SEPA). But the ruling raises deeper questions of regulatory failure and corporate power in a small community. SEPA has been under pressure for some time now on the issue. This week they issued a strongly worded statement, commissioned a full review of environmental permits to operate for both Mossmorran sites, and promised an enhanced programme of air quality monitoring. Following an intensive investigation by SEPA, which included formal statements from local residents, the regulator found that while flaring is an important safety feature in the event of a process fault, a series of maintenance failures led to elevated levels of unplanned flaring in breach of environmental controls between 12 and 18 June 2017, following the breakdown of a condensate pump. But some residents remain sceptical. “We are being ignored. The whole setup has changed recently, they are just dismissive”. Turner, who has lived by Mossmorran for forty-three years said that concerns about the health impact on residents have grown in recent months as the feeling is the site has deteriorated. “What we want is the monitoring done independently”. The Scottish Green Party’s Mark Ruskell MSP shared the residents’ scepticism. Unplanned flaring events which took place in October 2017 and March 2018 are still under investigation. “This is an issue of multiple pollution types affecting a large group of people. If this was a garage working late through the night and keeping people awake the local authority would step in. “But because its an Ethylene Plant it comes under SEPA‘s jurisdiction. There needs to be the political will for there two be an actual backstop here otherwise we are just engaged in endless prevarication, consultations and ‘listening’”. “We continue to invest in projects utilising the latest technologies and enhancements for the long-term future of the plant. James Glen, the chairman of Mossmorran Action Group welcomed the report, “particularly the recognition that ‘the impact of unplanned flaring from Mossmorran last year was both preventable and unacceptable’”. The Fife Ethylene Plant began operations in 1985 and has been plagued by complaints ever since. It was the subject of the highest fine for an environmental breach in British history in 2012. The company’s Fife Ethylene Plant can produce up to 830,300 tonnes of ethylene a year, much of which is used to make plastic. The plant is the third-largest source of greenhouse gases in the UK’s chemicals sector. “The flare is a normal and vital part of keeping the plant running safely during unplanned operational interruptions or scheduled maintenance. Residents and politicians are concerned about the length of time it took SEPA to investigate the June 2017 flaring (it was a full ten months before SEPAs actions were announced last week). There remains no consensus on what is and isn’t acceptable flaring nor any definitive health impact study. There is also concern amongst the local community that the plant just continues unheeded with endless consultations and prevarication and promises going on unchecked. In terms of further sanctions, SEPA could refer the plant operators to the Procurator Fiscal for prosecution, or it could issue further fines or it could withdraw its licence. For now, residents just hope SEPA‘s final warning is taken seriously by the big oil companies responsible for the plant, waiting for the flame lighting up the Fife night sky to be finally extinguished.